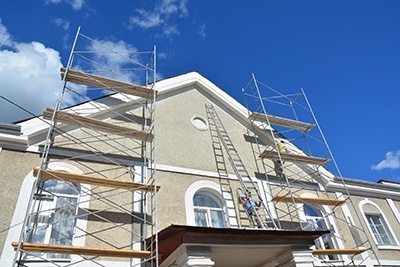 Get a new look for your home with... | RJ Builders, Inc.
Making the right choice for the exterior of your home is a major decision. For many homes, the exterior remains the same material throughout the entire life of the home. Here are a few examples of exterior materials to choose from. You always want to consider your home’s style, location, material cost and your taste. Lap Siding - By far the most widely used and popular choice, lap siding is available in fiber cement, wood, aluminum or vinyl. This material is versatile and available in any color you choose. 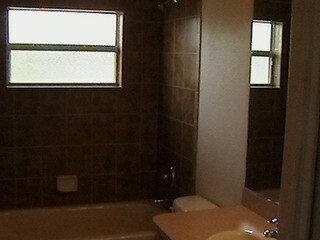 Stucco - For homes with large sections to cover, stucco is an excellent choice. Stucco is made of both natural and synthetic materials, applied fine or coarse, and in your choice of color. Board and Batten - As opposed to horizontal lap siding, board and batten emphasized vertical lines. Buildings look taller with the vertical lines, and traditionally styled homes are given an instant makeover. Brick - While more expensive than the previously listed options, brick is the most durable and requires virtually no maintenance. Brick is simple, classic, and well suited for most every style of home. While limited in its color options, brick is stacked or laid in a variety of patterns. Shingles - Available in wood, vinyl, or fiber cement, shingles (otherwise known as shakes) are perfect for traditionally designed houses with Craftsman, shingle, or Arts and Crafts designs. Stone - Durable and low maintenance like brick, stone comes in a wide variety of sizes, textures, and colors and is adaptable to nearly every aesthetic. Stone manufacturers have developed stone veneer products that are pigmented and shaped to resemble stone, reducing cost and expanding into an even larger variety of choices.